Take this list and give it to My Miyuki, located at mystic_shop 36 93 and she will trade you for a scarf. 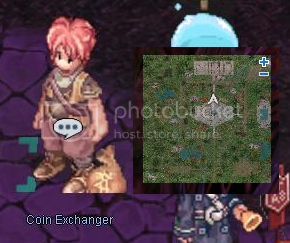 1Mithril Coins can be made at the Coin Exchanger NPC located at mystic_fore 171 249. They are worth 10 Mil Zeny each.